According to the American Heart Association, you should aim to have fish for at least two meals each week. Due to their cold, deep blue water environments, cold-water fish provide the richest source of EPA and DHA, long-chain omega 3-fatty acids with numerous cardiovascular benefits. Great sources of cold-water fish include: Atlantic mackerel, cod, haddock, herring, mahi mahi, salmon, anchovies, pollock, trout, whitefish, canned light tuna and sardines. Nuts contain unsaturated fatty acids, which won’t only protect your heart, but they will also keep you full for a longer period of time. Some studies have shown that people who consume nuts are at lower risk for cardiovascular disease than those who do not consume nuts. Nuts such as macadamia, almond and hazelnuts are lower in omega-6 linoleic acid, which may contribute to cardiovascular disease when eaten in excess. Berries are super-fruits that are high in antioxidants and polyphenols, which help fight diseases and cancer. Eating a variety of different berries boasts rich antioxidants, which can reduce the risk of heart disease. You can enjoy these heart-healthy treats by putting them in your smoothies, yogurt or simply enjoying them raw. Avocados are rich in monounsaturated fats, which have been shown to reduce LDL, the “bad” cholesterol; triglycerides, the holder of body fat; and increase high-density lipoprotein (HDL), the “good” cholesterol. Research states that a diet with added monounsaturated fats reduces oxidation and inflammation and may reduce the increase of heart disease. This super-food will is full of potassium, folate, a B vitamin, and fiber. According to the physician’s health study, the people who ate at least two-and-a-half servings of vegetables a day cut their risk of heart disease by 25%, each additional serving adds 17% to the mix. Dark leafy greens are antioxidant rich foods, which protects us from oxidative damage. Oxidative damage is known as a major risk for heart disease, so you can see how important it is to maintain a strong antioxidant defense system. That’s right, a piece of dark chocolate a day can help prevent heart disease. Dark chocolate has flavonoids, which protects plants from environmental toxins and helps repair their damage. We too receive these benefits from the flavonoids found in cocoa and chocolate. This particular flavonoid influences cardiovascular health and lowers blood pressure. Dark chocolate is also rich in antioxidants, which help the body’s cells resist damage that is caused by body functions such as inhaling second smoke. Be sure when consuming dark chocolate it is at least 60% dark chocolate and contains organic ingredients. One of the best ways to avoid any risks of cardiovascular disease and to maintain a healthy heart is to start by implementing a conscious diet. By consuming heart-healthy foods, you can avoid ever having to seek medical treatment. There are many heart-healthy foods that can protect you against heart disease, some of which you probably already enjoy and eat daily. 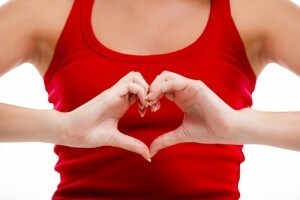 This entry was posted in Informational, News and tagged Heart Health. Bookmark the permalink. ← What Are Whole Foods?